23rd June 2018 marked an important date for me during my time with SmartKlub. 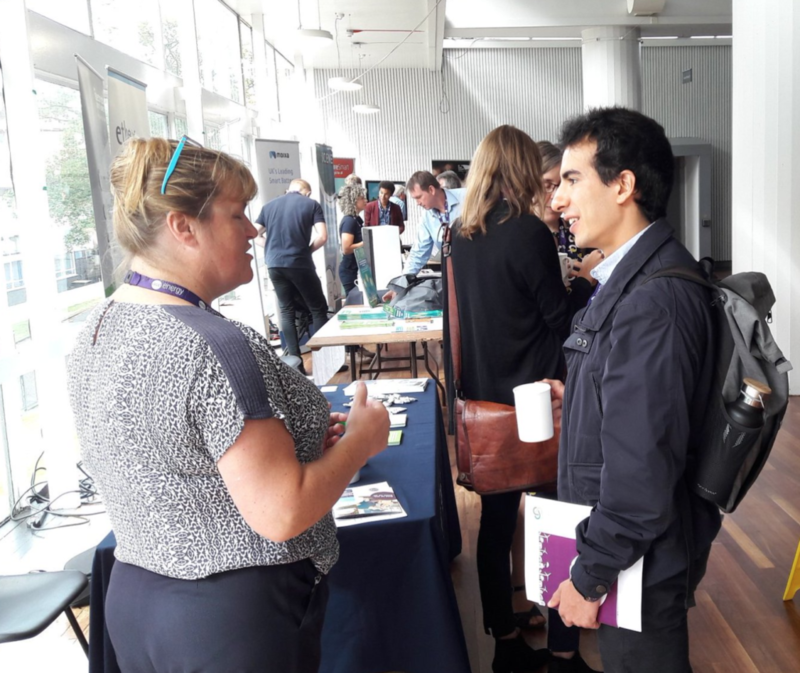 Collaborating with a company so involved in the Community Energy sector and doing an MSc Thesis on the same topic meant that attending the Community Energy Conference in Manchester was an opportunity I could not miss! All the relevant people from the sector were going to be together and it did not disappoint. As a result, I became even more passionate about the topic and hungry to help it grow. It was a great event to see what other communities and companies are doing. Showing up, engaging with speakers, being challenged by provocative thoughts served the purpose of understanding the direction the sector is taking through the most recent update of the State of the Sector report by Community Energy England and also know how policies from the UK government are going to shape future business models. There are trends which are quite relevant for anyone doing work in Community Energy: storage, electric vehicles and EV charging points. According to the Chief Financial Officer of Co-op Energy Hector Cruz, there are innovative ways communities are looking to tackle their barriers and issues, such as cuts in the Feed-in-Tariff. Speaking of Government, hearing Patrick Allcorn, the Head of Local Energy from UK Govt’s Energy and Industrial Strategy Department was inspiring and positive. And he had a powerful and clear message – Clean Growth is the biggest economic opportunity in the country and a big reason, if not the main one, for all the suppliers switch their energy generation to renewables. A nice component of the event in Manchester was that delegates could attend various workshops. In my case, I attended two. The first one, “The Transition from DNO to DSO: What could it mean for community and local energy?” counted with the facilitation of UK Power Networks and it is clear that energy distributors are taking Community Energy seriously and an important component of their business as it helps them to shape and balance the grid, as it transition to a more sophisticated network. Smart Grid, anyone? The second workshop I attended was entitled “How to Optimise The Deal an Energy Generator Agrees with An Energy Supplier, Now and in the Future” had the participation of Co-op Energy and Leapfrog finance which provided a overview of how suppliers meet the demand of their customer through forecasting, what that meant for communities and which financial models could be used to assess the potential of community-owned projects. Finally, it was also great to do networking! Representing SmartKlub is always gratifying and I leave the event with a broader and more enriched mindset which I hope to put into good use moving forward!